The constant attempt to make everything better has been and always will be crucial to advancing the world. This is a list of 8 books on innovations that shaped the current world. Invention is creating a new product for the first time, while innovation is defined as a significant improvement in an existing product, service, or process. For example, the creation of a glass to hold and drink beverages would be an invention whereas adding a handle to it would be an innovation. The constant attempt to make everything better has been and always will be crucial to advancing the world. From the Stone Age to the Information Age, many innovations have helped us take giant leaps towards the future. 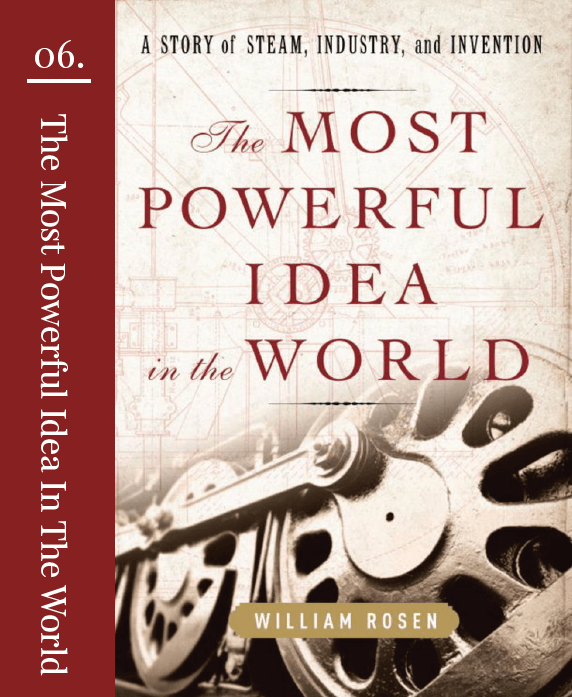 Here is a list of 8 books about some great innovations that helped shape the world as we know it and make our lives easier. For thousands of years, humans hunted animals and gathered wild grains to eat; they never thought of growing food for themselves. No one knew how to grow crops from seeds, or what the suitable soil and weather conditions were to facilitate that. The Sumerian, Aztec, Mayan, Roman, Chinese, and Indian civilisations devised their own agricultural methods independently starting 9,500 B.C.E. As a result, local tribes and clans could stay at one location for many generations instead of having to move around. Agriculture also led to trade with other cultures and communities, and in many ways, it was the first step towards a civilised world. 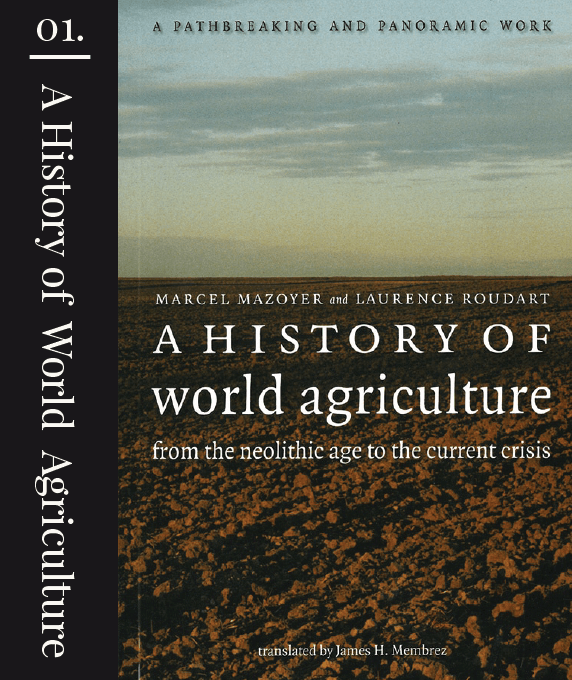 A History Of World Agriculture explores agriculture’s 10,000-year history and shows how agricultural techniques developed in various parts of the world. Money has been used as a medium of exchange in some form or the other for nearly 3,000 years. The barter system which was used before money was flawed for many reasons, such as the lack of a system for measuring an item’s worth. For example, it was hard to judge if a bag of rice should be exchanged for one or two sheep. The value of goods fluctuated as per the requirement of the consumer. In 600 B.C.E., King Alyattes of Lydia minted the first official coins with stamped pictures and the whole world followed. With the introduction of money, transactions became a lot smoother and more efficient and people could measure exactly what their goods were worth. 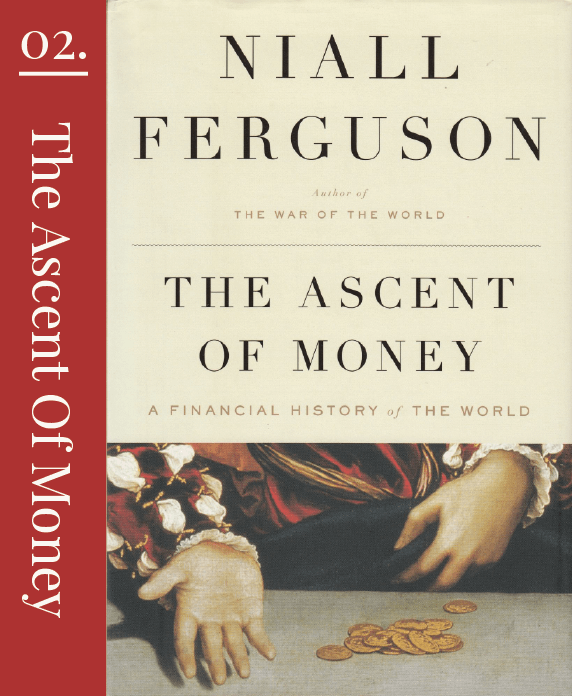 In The Ascent Of Money, Ferguson masterfully analyses the rise of money, the shift from the barter system to the monetary system, and details the most important financial events in history. Every idea or invention that became a reality was once written on paper. Before paper was manufactured in China, the world used papyrus and amate for writing. In 105 C.E., during the Han Dynasty’s reign in China, a court official, Ts’ai Lun invented the paper-making process. After its introduction, paper spread rapidly across the world through the Silk Route. Paper, being lighter and more flexible than papyrus and amate, could be sewn together to create books which were a lot lighter to hold and easier to transport. As a result, the spread of literature became more efficient. 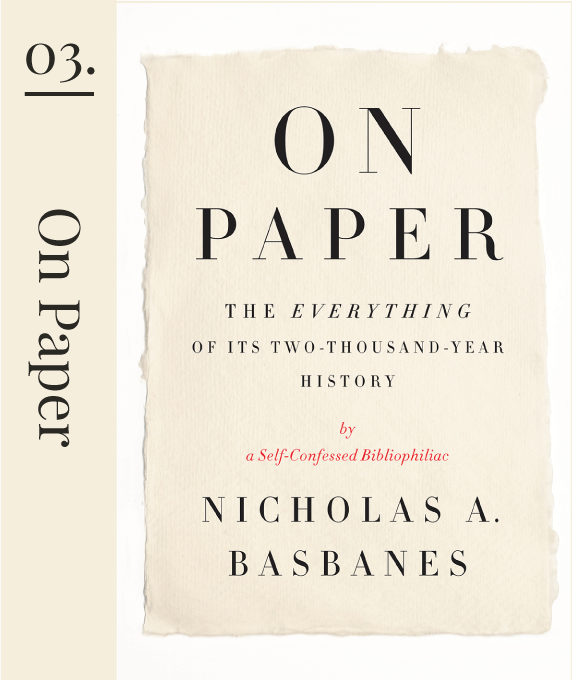 In his book, On Paper, Basbanes documents the fascinating history of paper and its implications on art, science, literature, and beyond. Before the pencil was invented, people used a stylus- a metal pen sharpened to a point- to leave legible markings on papyrus. With the introduction of paper, humans started experimenting with different rocks and materials to write with as using a stylus on paper was difficult. For a long time, different forms of charcoal and graphite were used but they were soft, difficult to hold, and stained clothes. Everything changed in the 16th Century when wood-encased graphite was created and the modern pencil was born. A pencil could be kept anywhere, it didn’t ruin clothes, and was much easier to use. 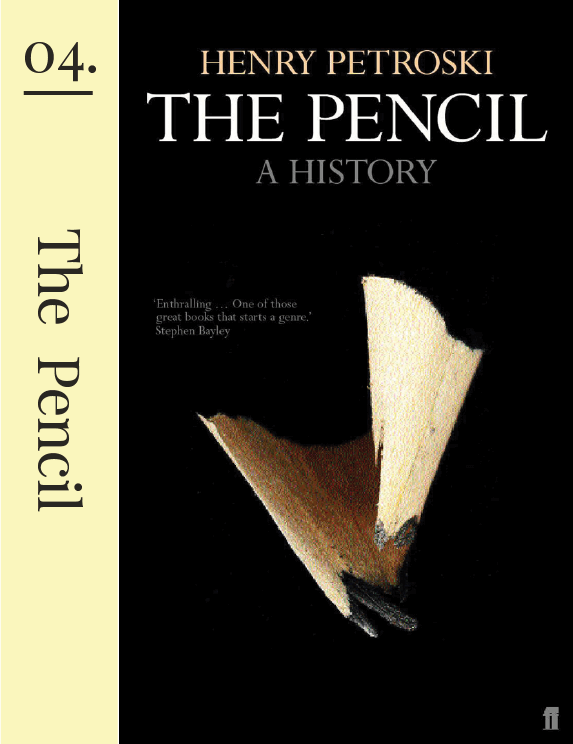 In his book, The Pencil, Petroski delves into the history and traces the evolution of mankind’s most essential, yet undervalued, innovation. All the earlier calendars, including the religious ones, were unable to calculate the length of a year with precision. The introduction of the Gregorian calendar, or the calendar we follow today, in 1582 by Pope Gregory XIII, was nothing less than a revolution. It accurately determines the dates of events such as equinoxes and solstices. Predicting the beginning and end of seasons also became much easier. The Gregorian calendar is the most convenient, accurate, and understandable calendar till date. In Calendar, Duncan portrays the struggles of people to keep a record of date and time without a proper system. 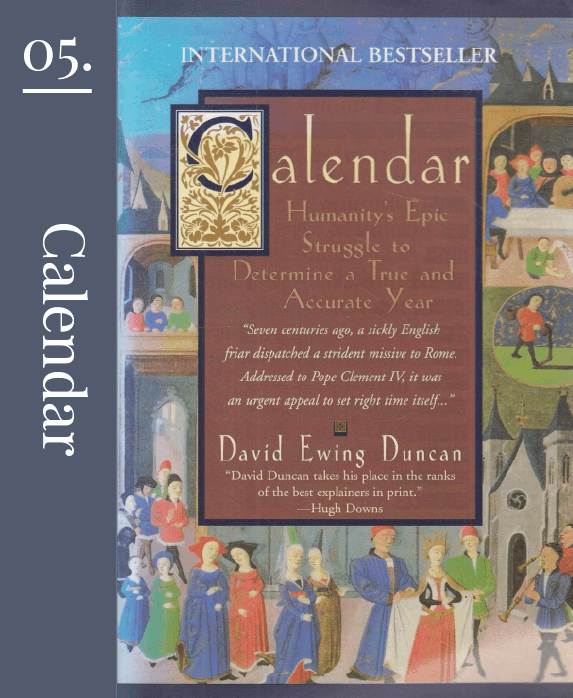 It chronicles humanity’s search for the perfect calendar, from the Vedic Indian and Persian calendars to the Julian calendar and finally, the Gregorian calendar. The steam engine was one of the primary driving forces behind the Industrial Revolution. Contrary to popular belief, James Watt didn’t invent the steam engine. The main issue with the engine invented by Thomas Savery was that the steam had to be condensed in order to be used again, which took up a lot of time. 71 years after the invention of the first steam engine, James Watt resolved this issue by separating the condenser from the cylinder. Most machines across industries used the steam engine to run, and even the first locomotive ran using Watt’s steam engine. The Most Powerful Idea In the World is the story of how the steam engine started the Industrial Revolution and transformed the transportation system. Condoms have been used by humans for over 1,300 years. Earlier, condoms were made of animal (especially sheep) skin, intestines, or bladder. These methods weren’t even as effective as the modern latex condoms. During the 16th Century, the spread of syphilis created the need for a better condom. A new condom made of chemically-soaked linen was introduced and was used for the next three centuries. The first rubber condom came into existence in 1855 and was a major improvement on the previous iterations. While earlier the condom was a luxury used only by the rich, the rubber condom was safer, cheaper, and easily available. 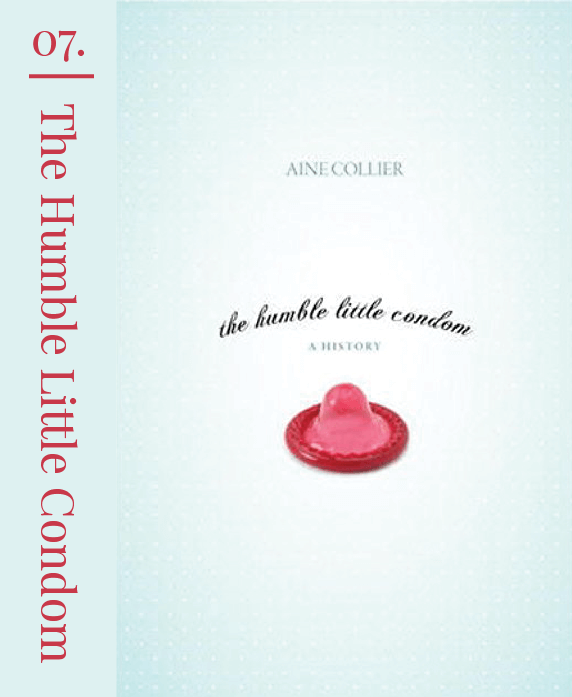 Collier’s The Humble Little Condom details many such fascinating historical events that led to the birth of the modern condom. The earliest phones were designed for a single purpose- oral communication. Cell phones gradually evolved into feature phones, which could also send messages, play basic games, browse the internet, and be used to listen to music, etc. The age of touchscreen smartphones with advanced operating systems arrived with the iPhone in 2007 and took the world by storm. The idea was that a phone in your pocket could perform more functions than the computer sitting on your desk. Smartphones today are much more powerful than the computers used to send a man to the moon in 1969. 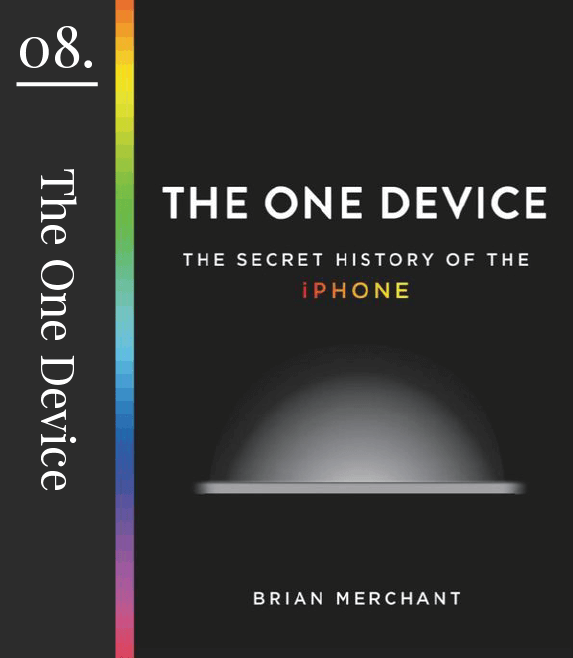 The One Device by Brian Merchant is the extraordinary story of a device that gave everyone access to the world.